Dhamma Nikethanaya Buddhist Centre is a delightful Buddhist Abode or Academy established on 19th April 2004 and situated in Letchworth Garden City (world's first Garden City) in Hertfordshire in The United Kingdom. It is also known as International Buddhist Cultural Community Centre for Education Meditation Psychotherapy and Counselling. Venerable Akurala Samitha (Bhante Samitha) started the centre on 19th April 2004 and obtained the UK Registered charity status on 22nd September 2006 Registration No: 1116187. Also registered as a Place of Worship on 30th August 2018 Registered No: 84656. This centre has become a beckon for all Buddhist Educational, Cultural, Religious, Spiritual, Holistic & Mental Health and Social needs of the multi-cultural and multi-ethnic diverse communities in The United Kingdom and worldwide, irrespective of race, religion, language, colour, gender and belief. Whilst our principle is to respect and treat everyone equally, majority of our spiritual family are consisted with Sri Lankans, Indians, English, Chinese, Thai and Burmese. The Centre principally performs The Theravada School of Buddhism while it provides due opportunities to fulfil traditional, cultural and educational requirements of other schools of Buddhism as well. Professionally qualified and exceptionally skilful senior Theravada Buddhist Monks reside at the centre to minister all its religious activities. At present they all are originally from Sri Lanka. Birth of this Buddhist Cultural Centre is due to many reasons. In respect to the exemplary characteristic of the teaching of the Buddha called “Ehi passiko” “Come & See” our vision is to create an atmosphere to experience what is beyond the horizon of “come and believe” the challenging perspective of modern era. 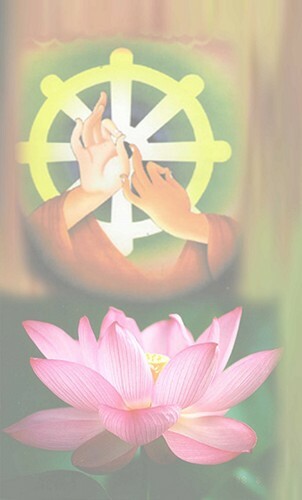 In that sense we are the future as we endeavour to explore the timeless message “Akaliko” of the Buddha. Dhamma Nikethanaya Buddhist Centre is the fruits of boundless compassion and altruistic joy of a simple thought for noble sharing of perfectly expounded (Svakkhatha Dhamma) teachings of the Buddha. Our vision is to contribute more than just a Buddhist Centre or institute could offer for the intellectual as well as general community in modern era of globalisation by creating a shift of a new dimension. Every being wishes to live happily and thus search Happiness, and wishes to shelter or live in a place where one can be at peace. We are a practical example of that search. Stress Management sessions for positive living. Treatment Sessions on Counselling, Psychotherapy and/or Stress Management can be available on appointments. Sponsoring Children – This project was initiated after the Tsunami 2004. Monthly subscriptions facilitate the child to get a decent education, food, clothes and other essential and pleasure needs. 07:30PM – 9PM on Every Sunday: Drop in Meditation. 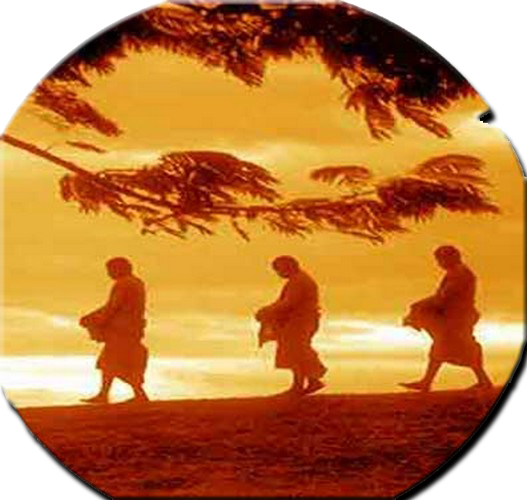 Buddhist Marriage Blessings services / Buddhist Funeral Rites and Ritual services / Blessing rituals for birth and expecting. / Daily Blessings and Special Poojas for peace and harmony / Bodhi Poojas / Opportunities for offering Dana to Theravada Buddhist monks / Home Visit on Birthdays, Weddings, House warming and merit transferences for departed. / Buddhist Healing Chanting for the sick, elderly and disabled who are in need of mental and physical comfort. Many More: a Dedicative team of academically qualified and experienced monks and laity provide an essential service in every day needs of the multi-ethnic and multi-cultural communities. The Centre is officially open from 07:00 AM to 09:00PM, seven days of the week and through out the year. However monks and management are always on call for 24 hours to help out at any emergencies for on requirements. Membership is open for anyone at any age group. Every member receives many great facilities and benefits. More over they have the privilege and the joy of a blissful meritorious deed. Membership can be available individually, family or as an institution by making a donation as follows. Currently member is £10.00 a month. Payments can be made by standing order (please contact centre for forms or download it from our website) or by cheques (made payable to “Dhamma Nikethanaya Buddhist Centre”) or in cash (cash to hand over responsibly to a member of trustees only and should obtain a signed receipt). For the convenient, safe and confidentiality, we highly encourage concentrating on first two payment options. 100% of all donations will dedicate for the upkeep of the centre and its noble activities. Giving is a Joy. DANA (Donations) is a Pali word that can be translated as donations, giving, generosity, charity, and liberality. It occupies an important part in the Buddha's teaching, which is often formulated under three headings - dana, sila, bhavana (giving, morality, meditation or mental cultivation). That dana is one heading underscores its importance. Buddhists should take heed and cultivate a good spirit of dana. We sincerely need your kind support to up keep our centre activities. Donations (any amount) are greatly appreciated! We need financial support to maintain the mortgage, utility bills and monks’ welfare. Please help us to secure our noble services by making a monthly donation (standing order). Forms either can be downloaded or obtained by contacting the centre. Teaching and helping to spread the Dhamma is one of the highest forms of dana. "The gift of Dhamma excels all gifts (Sabba danam dhamma-danam jinati)." We practice dana by offering the teachings without a price tag. You can practice dana by making a donation of money, time and/or labour. Your donation allows us to continue offering the teachings to others. This centre is maintained only by the generosity of all of you who value the teachings. If you are a UK tax payer, you can increase your donations by 28% at no cost to you, as we a registered charity. Please either contact us to sign for a Gift Aid Declaration Form or download the form from our website and send the signed original copy to us. So let us share, each according to our ability. Let us cultivate the spirit and joy of giving, bringing happiness and cheer into the lives of our fellowmen. Thank you very much for understanding our financial difficulties and we greatly appreciate all of your extended support. This is the best way of helping us to secure our existence. If you can make a standing order, at least £5.00 a month, this will give us secured relief and confidence and also enormous strength to maintain our mortgage, utility bills and other incidence expenses. Standing Order Form can be obtained either from our website or contacting the centre. You or your family can reserve a date to offer food to the venerable resident monks either monthly or yearly or both on a chosen date significant to you or your family. E.g. birthday, death anniversary, wedding anniversary etc.. etc..
We greatly appreciate if you consult the temple prior to buy to avoid the excess or meet the useful. Please note we have a surplus of things. Be wise when you spend in shopping. Even that few coins will make a big difference if you put that into the donation box. If you still really want, At the moment in general please give the priority for tooth paste, tooth brushes, any toiletries, shower gel, razors, bin liners (30L or 70L strong) kitchen paper, Scented candles, etc.. etc.. We have a surplus of tea, toilet papers, coffee, suger and please dont bring them for the time being. It is very beneficial if you could make a donation to sponsor for the electricity, waster, gas and other utility requirements. We are a voluntary organisation and financially non-profit making institution. We are a registered charity under The Charity Commission in England and Wales. Registration Number is 1116187. Our organisation is governed by an exclusive constitution approved by The Charity Commission, The Regulator for Charities in England and Wales. A Board of Trustees appointed at an Annual General Meeting is responsible for managing the charity. Your data in our hands are fully protected. We have registered with the Information Commissioner’s Office under the Data Protection Act 1998 to securely handle the personal data. We treat every personal detail of yours as private and confidential. We shall not pass your personal data to any other third party without your proper permission. You can help us to save our donations and time and make their best use by updating your contact information as and when necessary. We appreciate if you could sign into our email communication data base as we struggle to face the up rising postage. Please be good enough to pass your email addresses if you have got any. I am a friend and helper to all, - I am sympathetic to all living beings. - I develop a mind full of love & one - who always delight in harmlessness! - I gladden my mind, fill it with joy, - and make it immovable and unshakable. - I develop these divine states of mind - not cultivated by simple men. That is why we encourage you to introduce this joy (our centre) to all your friends and realise the value of that noble sharing.